Catalina Franco-Cicero joined Tobias Financial Advisors in October 2017 as a Financial Advisor. In this role, Catalina focuses on co-creating possibilities along with her clients by matching their values with their goals. This is done by implementing an efficient way to accomplish their goals in collaboration with their other professional advisors. Her day-to-day responsibilities include client relationship management, financial plan design, advisory of retirement plans – 401ks – for small businesses, and delivery of financial wellness education programming to their employees. In addition, she also serves as a mentor for the next generation advisors on the team. 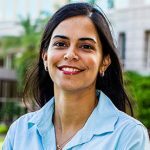 Catalina switched careers to the financial services industry in 2011 after sitting in the CERTIFIED FINANCIAL PLANNER™ (CFP®) capstone class to take notes for her husband who was pursuing the coursework at the time. She quickly realized that the financial knowledge shared and case analysis work would have been invaluable to her immigrant family many years ago who learned many expensive lessons because they had been taken advantage of by advisors who did not put their client’s needs first nor served in a fiduciary role. With that revelation, she dropped her PhD work focused on international sport and community development to become a CFP®. 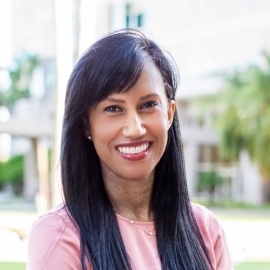 Prior to switching careers, Catalina was a wellness professional and adjunct professor with Barry University where she designed an award-winning wellness program and an internationally adopted sport for development program called Fun-Fit-Fridays. In addition, she creatively combined academic content and physical fitness for fun summer camps through Fitness For Kids for which she was a small business owner for 16 years. When she turned financial planner, she designed a developmentally appropriate financial education program for kids and teens called Fiscal Fitness For All and then collaborated on the design of a comprehensive financial wellness program for Fiscal Fitness Clubs of America. Catalina brings her expertise in personal finances, fun, and wellness to Tobias Financial and enjoys using the lessons learned as an athlete and coach to help individuals with their financial success. She also brings her bilingual ability and sensitivity to cultural differences to planning. As an immigrant, she understands the challenges of those who aren’t familiar with the American financial systems, which allows her and Tobias Financial to serve a diverse population. She is fluent in Spanish. Catalina was recognized as a 2016 Financial Planning Association’s Diversity Scholarship Winner for bringing financial planning to underserved populations. She has been quoted and mentioned in InvestmentNews, FA Magazine, Benefits Pro, Magnify Money, and other media outlets. She has been featured in Money Magazine and Time Magazine’s American Voices, and has been interviewed on several financial planner podcasts. She is active both in the Financial Planning community through the Financial Planning Association at the national level and in the human resources community locally. 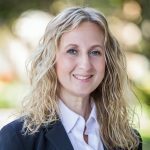 This year she will complete her two term role as Treasurer for Human Resource Association of Broward County and looks forward to helping the organization continue to serve HR professionals. Catalina currently resides in Pembroke Pines, Florida, with her husband and their Yorkie, Scrappy. Outside of financial planning, she enjoys giving back to the community through her church’s volunteer work. You can also catch her participating in Zumba and Boot Camp classes and encouraging anyone she meets to incorporate healthy eating and fitness practices into their daily lives.